Since we launched SNOW on Early Access nearly two years ago we’ve seen a lot of amazing video edits coming from the community. The level of riding and creativity continues to impress us every day to the point where we're learning new riding and camera techniques from these users. So, starting next month we will launch the Experience The Mountain Video Contest Series - a series of monthly video contests on snowthegame.com. Each contest will be unique and have a specific theme and sponsor that we will talk about in more detail closer to the launch. At the end of each contest, we will select the top 3 videos and reward the winners with some awesome prizes. 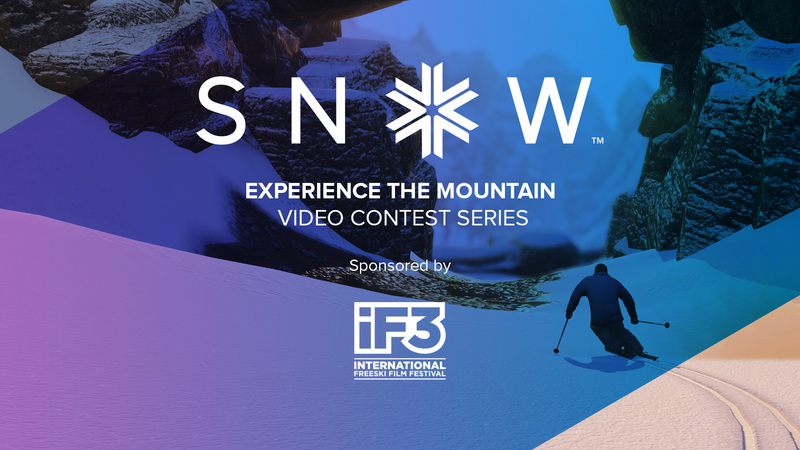 In addition to the prizes, the 1st place video of each contest will be shown at some of the International Freeski Film Festival (IF3) stops around the world. This means that your video could be featured next to some of the biggest ski movies in the industry in front of a live audience. Finally, we have other partners who will be sponsoring some of the contests as well, but we'll reveal who they are when the time comes. The first contest will start on August 3rd, 2015. Stay tuned for more details and surprises.